The "it" place on campus. 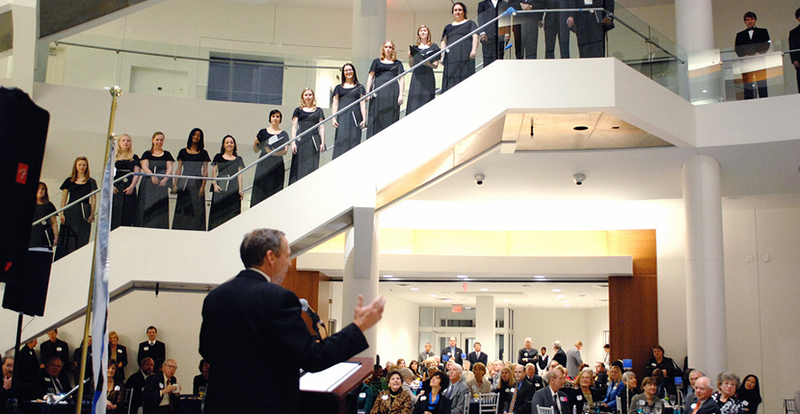 The University Center, together with the Michael D. Rose Theatre, forms the cultural heart of campus. With gobs of space (210,000 square feet in all), this is where we often get together as a community, accommodating anywhere from 6 to 1,000 participants. 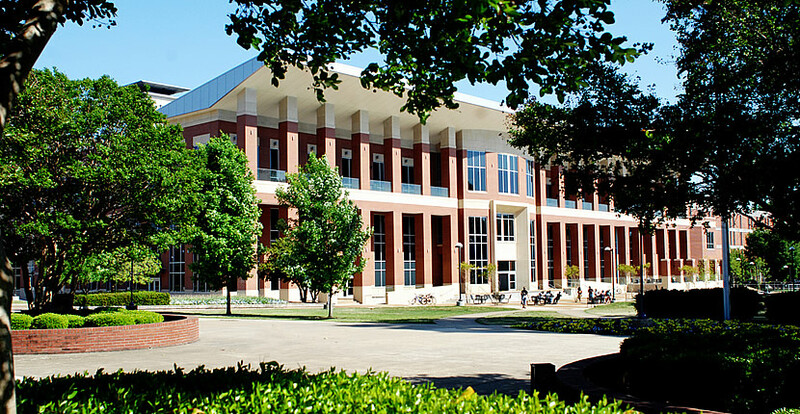 Find a sunny spot to take a break between classes outside on our patio. Or pop inside to find the offices for student organizations and University departments, a whole lot of options for good eats, and other modern conveniences. 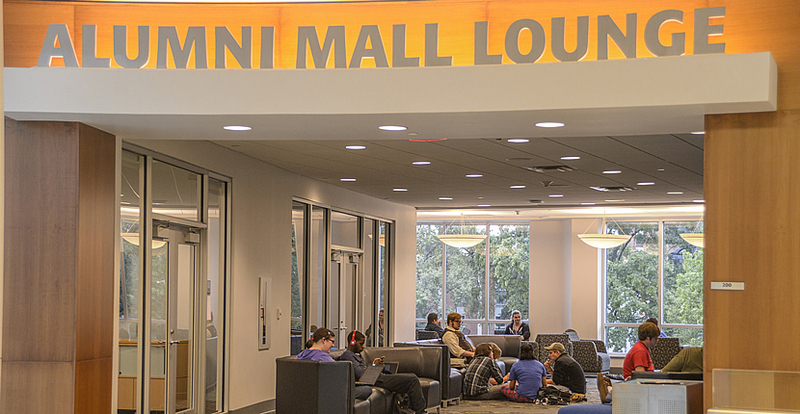 The University Center of yesteryear is long gone, having re-opened in 2010 to bring today's Tigers all the popular amenities that our wonderful students demand and deserve. 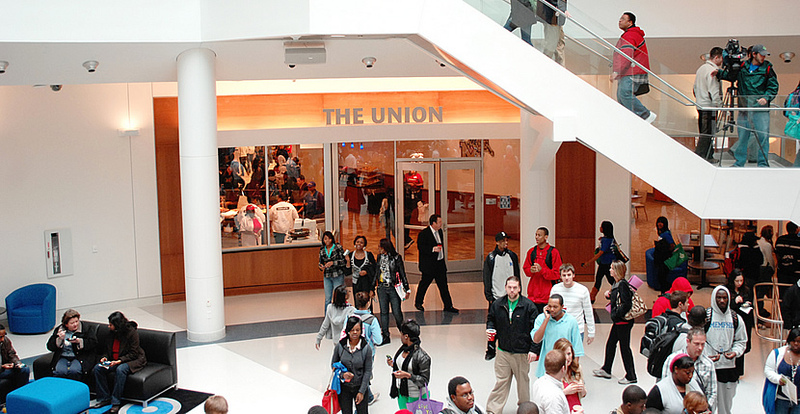 Take a look inside the UC in our interactive tour of campus. 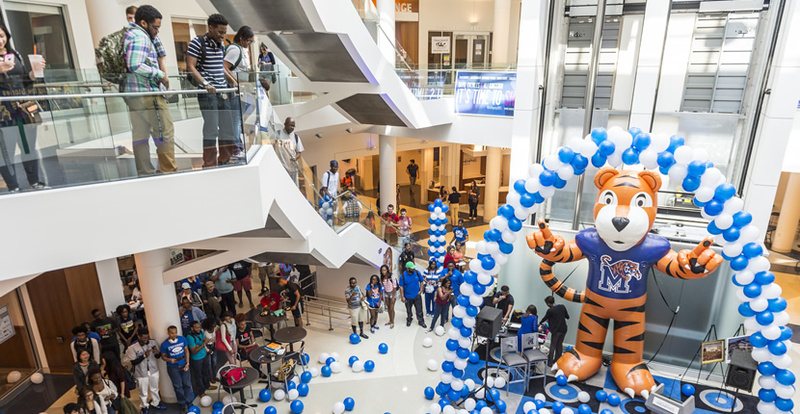 The University Center and the Michael D. Rose Theatre support the educational mission of the University of Memphis by providing high-quality facilities, equipment, services, and student employment opportunities. 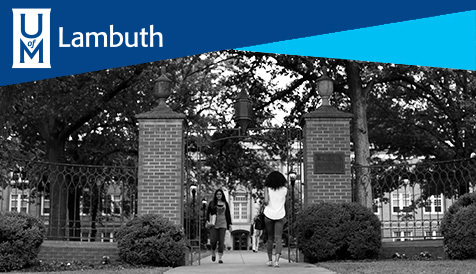 In addition, we enhance the Division of Student Affairs mission by scheduling and supporting programs that build community and promote student involvement and learning. Need help with scheduling, building info etc.? Here's how to reach us. Find out what's happening at the UC!